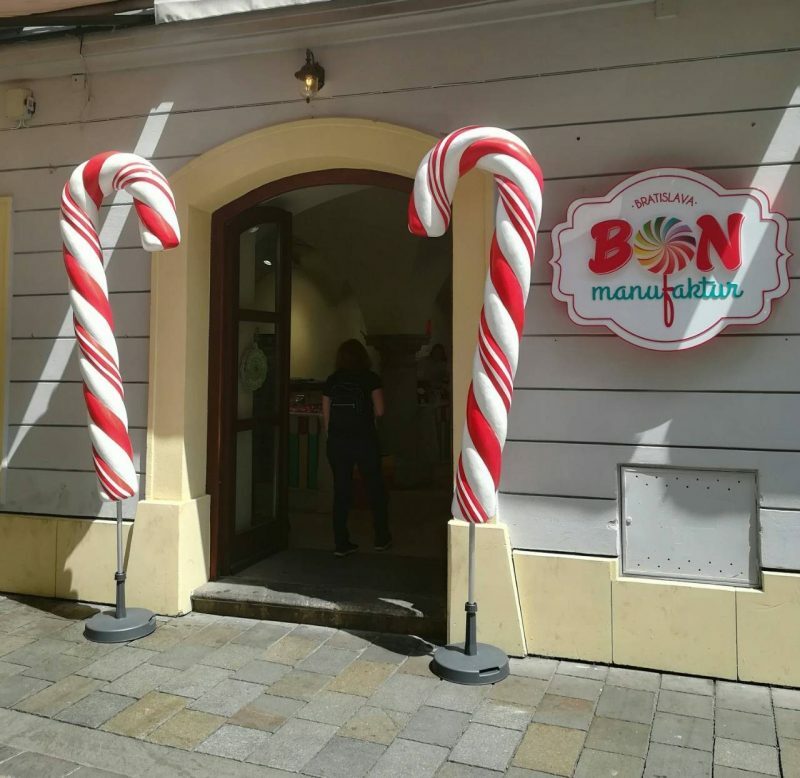 Bon Manufaktur is a unique Slovak confectionery. 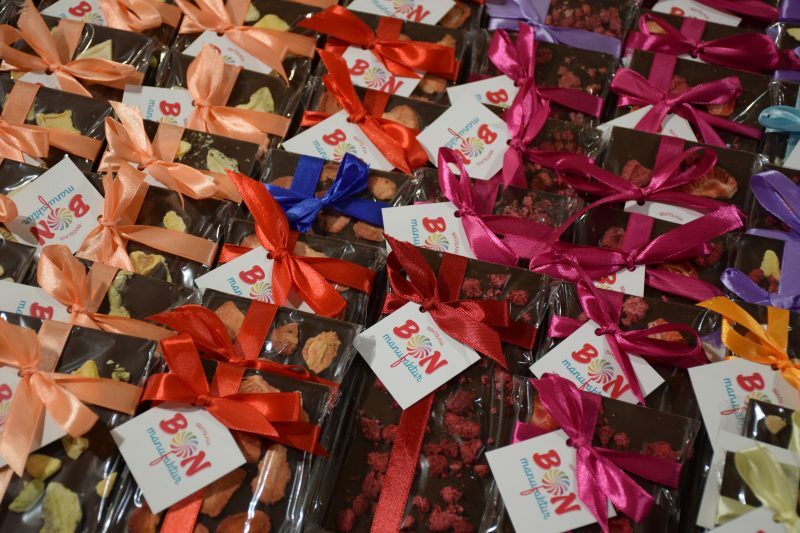 We sell our own range from candies and lollipops to marshmallows and chocolates, all made by hand on the premises. 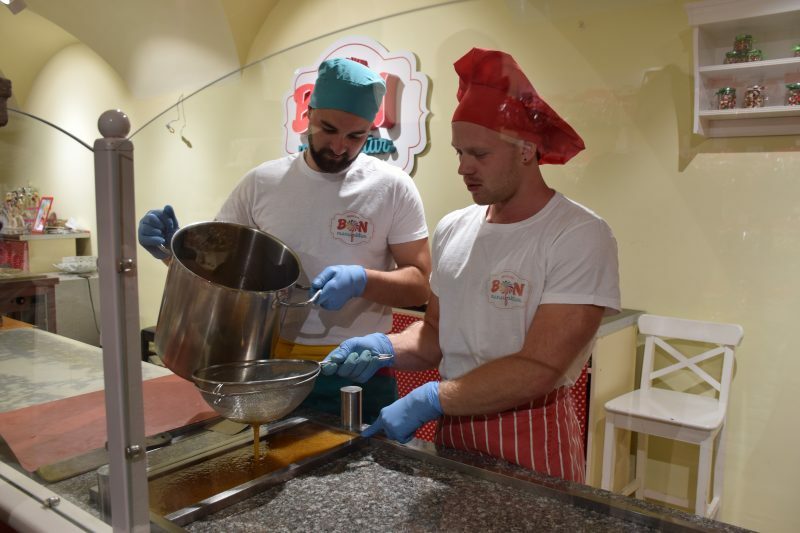 We believe in the principle of open manufacturing, which means that anyone who comes into the shop can see how our confectioners conjure so many delicious treats from hot caramel. We value not only playful colours and a great taste but also natural ingredients. Our sweets contain only water, glucose syrup, sugar and natural colouring and fruit extracts. For example, we make our yellow colouring from curcuma extract, our red comes from black carrots, green from chlorophyll and black from vegetable charcoal. As to flavours, we have more than 30. There is something for every fan of sweet and fruit flavours. We even offer some wilder flavours like cola, tutti-frutti or lavender. And there’s more! Our shop is also full of chocolate. We are continuously introducing new chocolate pralines and bonbons. We will soon be opening a café where customers will be able to enjoy sweet desserts and great coffee. We are able to offer our caramel show for Slovak and foreign visitors in three languages (Slovak, English and Russian). We are also happy to take our confectionery on the road to any indoor or outdoor event where we can demonstrate our caramel show or our lollipop workshop.